Did you know that you could hit the ball farther without increasing your club head speed? If you are like the majority of golfers that hit down on the ball with their driver (downward or negative attack angle) then you are giving up distance. Here are three “connected” keys to helping you achieve an upward attack angle with your driver and gaining extra yards. In order to get off on the right foot we need to establish a set up that will increase the chances of us achieving steps 2 and 3 correctly. The correct set up with driver will see the ball position close to being inline with the inside of the lead heel. Also, the spine or upper body is tilted away from the target. If your ball position is back or your spine is leaning forwards you have already increased your chances of hitting down and losing distance. Now that we understand that we require tilt at address, we also need our spine leaning away from the target at the top of the backswing. Don’t undo your great set up work by reverse pivoting. If you do, you significantly increase the likelihood that you will be hitting down and losing distance. Alright, we are loaded up at the top of the backswing. Now comes the final yet critical key. We need to delay the head moving forwards until after impact. This is one of the fundamental differences between hitting and iron and a driver. A simple way to think about it would be starting with your head behind the ball and keep your head behind the ball until after impact. Note that this does not mean keep your head down. Here is a process that you can go through to help you practice keys 1, 2 and 3. You’ll need two alignment sticks or golf clubs. 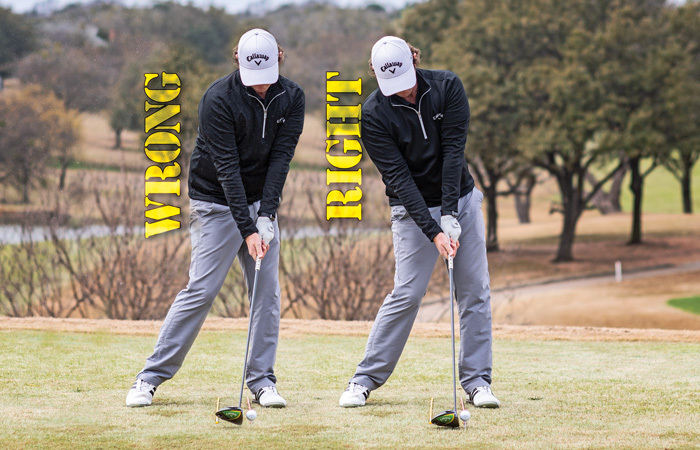 Place two alignment sticks on the ground about 6 inches apart, parallel to each other while perpendicular to the target line. Tee up a golf ball inline with the front alignment stick. Take your set up with the inside of your heel against the front alignment stick. Now, tilt your spine away from the target. Using a second golf ball, raise it up to your chin and then drop the ball. 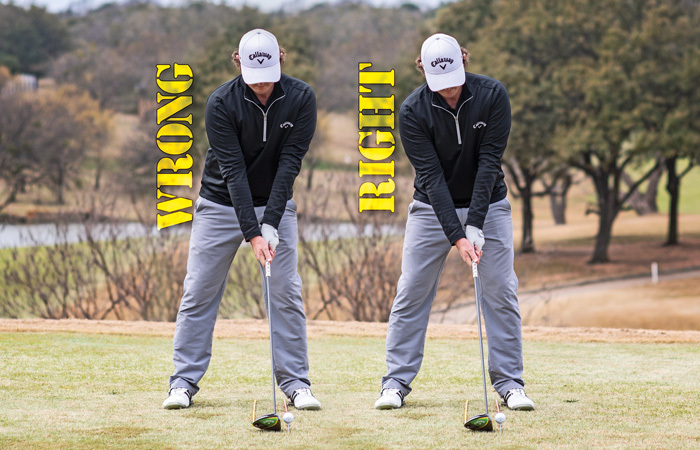 If you are tilted correctly the ball will land behind the second alignment stick. Take your club up to the top of your backswing and pause. 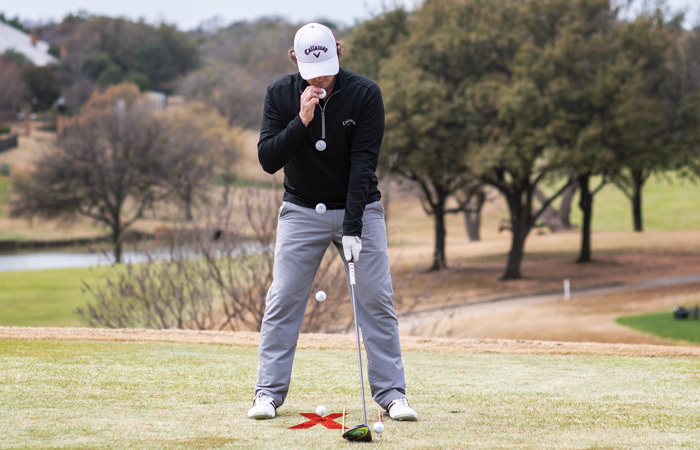 Is your head behind the second alignment stick? 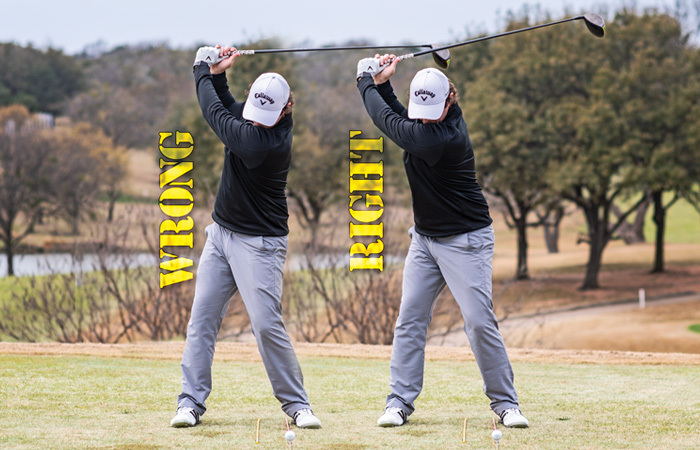 Rehearse this until you are able to sense your spine tilted away from the target at the top of your backswing. Slowly start the downswing and pause at the impact position. 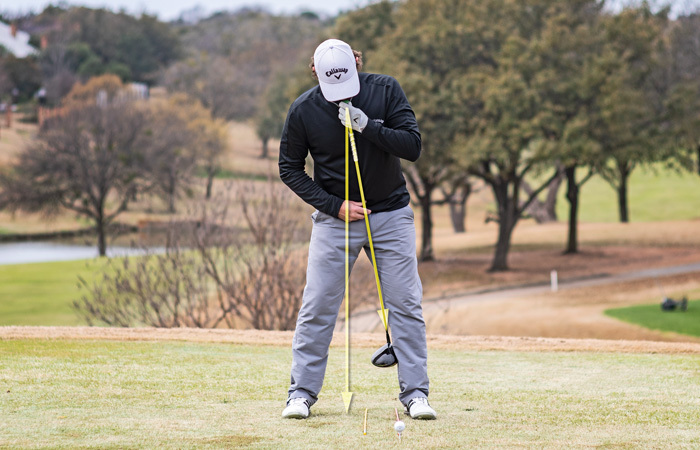 Focus on your head staying behind the alignment stick in the center of your stance. If you have an impact bag you could rehearse pausing at the bag (don’t smash the bag). You should expect your ball to launch higher and carry farther. If your ball flight starts to get too high you will need to tweak your driver loft down if you have an adjustable driver. Remember, start behind, load behind and stay behind until impact and you’ll be sending long bombs. 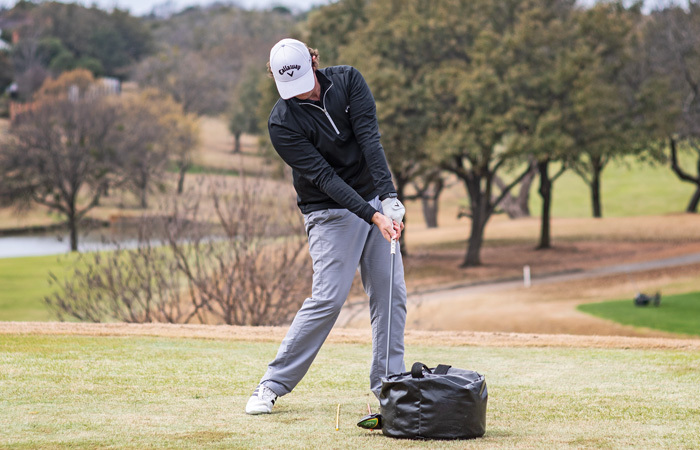 Mike Bury is the head teaching professional at Las Colinas Country Club. Visit www.mikebury.com for more.